MoreVeazey Felder & Renegar L.L.C. is an energetic and progressive AV-rated law firm dedicated to providing unmatched legal services to corporate, insurance, and individual clients in a wide array of practice areas. Licensed to practice law in Louisiana, Mississippi, and Texas, Veazey, Felder & Renegar, L.L.C. is well-positioned to serve its local, regional, national, and international clients in state or federal court litigation of any size or complexity within the Gulf South region. The...Veazey Felder & Renegar L.L.C. is an energetic and progressive AV-rated law firm dedicated to providing unmatched legal services to corporate, insurance, and individual clients in a wide array of practice areas. Licensed to practice law in Louisiana, Mississippi, and Texas, Veazey, Felder & Renegar, L.L.C. is well-positioned to serve its local, regional, national, and international clients in state or federal court litigation of any size or complexity within the Gulf South region. 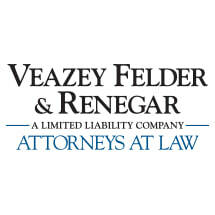 The lawyers of Veazey Felder & Renegar L.L.C. are seasoned, litigation-savvy advocates who – through knowledge, skill, and state-of-the-art technology – offer efficient and aggressive legal services in a cost-effective manner.